Peninsula Finance are principal lenders in commercial and residential bridging finance. 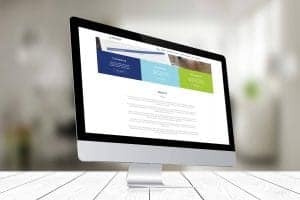 Offering short to medium term loans for small and medium-sized businesses across the UK, they needed an updated website that reflected their streamlined and flexible underwriting process. As part of a company rebrand, Peninsula Finance decided to invest in a new website to bring them bang up to date. 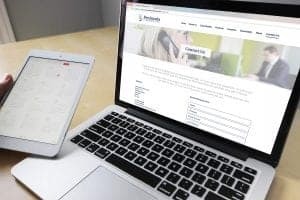 As part of the relaunch, they wanted to streamline their offering, providing a smoother, faster service to their clients. And that meant new copy. Their existing web copywriting appeared bloated and hard to read. Long sentences and longer paragraphs don’t make a financial bridging loan any easier to understand. Meeting with the project manager, Lewis, from Tulu Design, we discussed what web copywriting Peninsula Finance needed. The essence of the brief was to work with their existing web copywriting. To make it easier to understand, and keep it as simple as possible for anyone visiting the site – whatever their financial background. Thanks to Peninsula’s streamlined service offering, stripping away the old copy was easy. Working with the updated sitemap, together with the existing site pages, I was able to see the extent of the copy required, and where it needed to go. The remaining copy then needed some effective editing – shorter is better, after all. By weeding out irrelevant or technical jargon, I could keep the copy short, simple, and direct. I then restructured it – keeping and editing essential elements – and wrote new key areas to add a human touch and a bit of style. The site went live at the end of May. As a result, Peninsula Finance could present effective web copywriting that’s easy to read and understand. 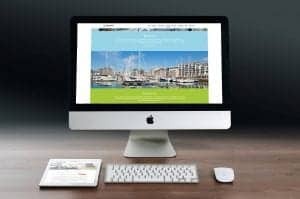 And it looks great when it’s part of a rebranded, slick, and responsive website. Read more DropCapCopy case studies… or get in touch today and let’s chat about your own web content requirements.